I've decided to start adding a weekly technique/gadget/ingredient feature to call out a technique, gadget or interesting ingredient. Today, I'd like to discuss poaching. I'm always surprised that so few people attempt poaching in their home kitchen, as it is a simple and delicious way to prepare fish. 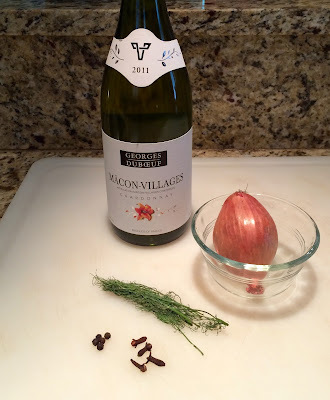 It is a very basic part of the French cooking repertoire and today, I'm going to show you a fool proof way to execute it. 1) Poaching has a short cooking time, so it is important that the other side dishes be ready to go. 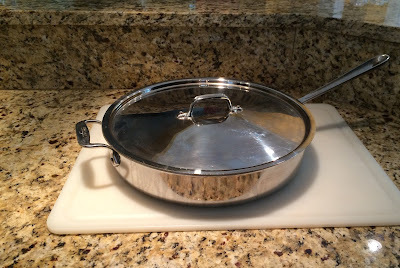 2) Poaching does not mean immersing the fish in liquid, but rather just the smallest amount in the bottom of the pan to gently steam and infuse the fish. 4) Unless you are poaching an entire fish, you will not need a fish poacher, but if you do find yourself wanting to prepare whole fish, it's not a bad investment. 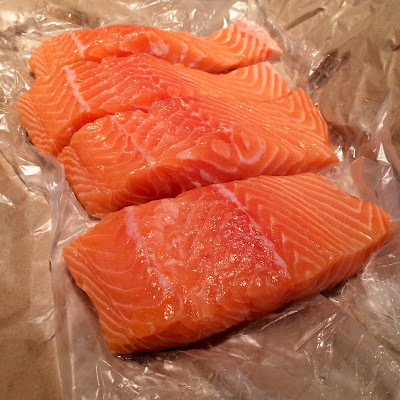 5) You will want to choose a fish that has a good texture and a good amount of fat. Example, salmon is ideal, as is halibut and monkfish. However, a tuna steak or swordfish would not be ideal. 6) You will want choose a filet that is thick, and the size should be uniform. See the picture above for an example. 7) You will need a few key ingredients. I good quality balanced white wine is critical for success. I find that a Macon Villages is a very good and inexpensive wine. So, now you have the basics and in the next post, I will give you a simple and easy to execute poaching recipe. I have a new name! Curried Carrot Soup - Yes, it can be chilled!